Is your load retention up to scratch? UK-based packaging supplier Kite Packaging want to ensure all businesses have exactly what they need for safe working when palletising goods. The Kite team has introduced three new load retention products to help companies build the bridge to successful transit packing. In day-to-day business operations the pick, pack and despatch department plays a huge part in delivering customer satisfaction and can also have a direct impact on brand reputation. Delivering goods from A to B has an associated expectation of trust between businesses and consumers and a big deciding factor in this level of trust comes from items being delivered on time, in full and undamaged. When palletising goods, the real integral part is making sure they are secured with additional strapping or heat shrinking layers that offer effective protection and minimise damages. One of Kite’s newest additions, a semiautomatic cordless friction weld tool, is ideal for strapping larger, heavier items where extra tension is required. This powerful and efficient tool is perfect for regular use where speed is important and can be used to tension, seal and cut strapping on demand. The reliable 18 volt motor provides a quality strap tension and helps to ensure a perfect seal joint. Smaller businesses don’t need to commit to large expenditure on strapping equipment, as Kite’s new ‘strapping in a box’ offers a simple yet effective solution for smaller users. 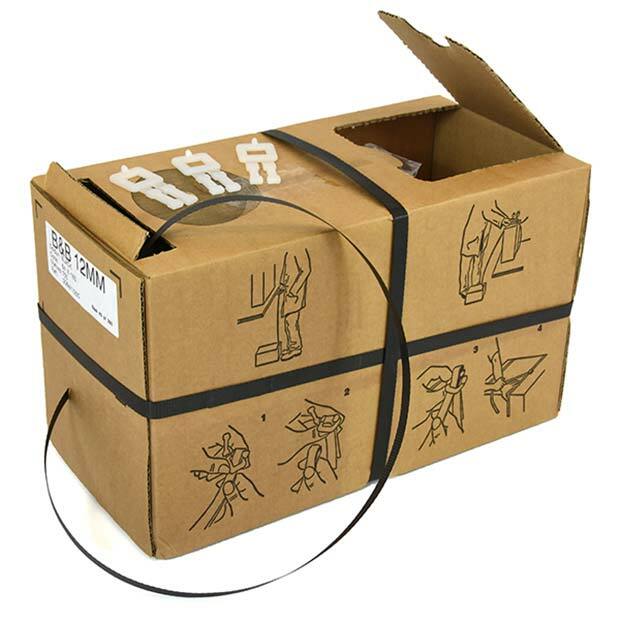 This polypropylene strapping has everything you need in one box with clear-cut, selfexplanatory diagrams on the outside, making it also suitable for beginners. An alternative method of protection when palletising goods is heat shrinking. Kite has a range of pallet heat shrink guns on its site, including the industry leading Ripack gun. Kite also stocks spare parts for the Ripack pallet heat shrink systems.